I believe that Morality is complicated. Morality is subjective. Morality is ethics. Morality is judgment. Morality is not universal. 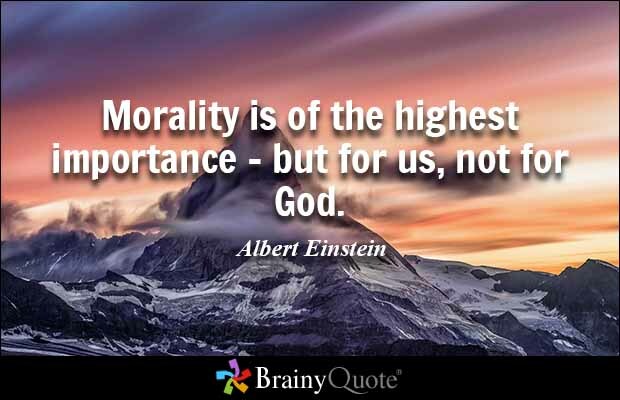 Morality is societal, Morality is personal. As writers, we often write about heroics, doing-the-right-thing, righting wrongs, standing up to injustice, caring for others, human rights as moral convictions, judging as a moral imperative, life-saving as a moral imperative, killing evil-doers as a moral imperative. I wonder, do writers have the moral obligation, as Sam Harris states, “Wherever we can have an impact on the well-being of others, questions of morality apply.” Yes, morality is complicated. Wow! I love this post with so many questions. Morality is complicated to those who may struggle with it’s basics. I think it naturally comes forth in the words of a writer who has a good sense of self. Great post, Karen! Thank you Jennie. I am so glad you agree. I know that you have a wonderful sense of self. I feel pretty solid about mine too. Absolutely. It bothers me that people ban books for moral reasons. There are all kinds of reasons people write books, mostly to tell a story. If we try to censor ourselves, we’re doomed. This is an excellent post on the question of writers and morality. Thank you so much. Surprisingly, I have had so far, only 3 comments on this post. Are writers afraid to comment on morality, when in fact, consciously or unconsciously we do write with every word, a moral story given the heroic efforts of the protagonist and present conflict regarding good and evil. I think it’s a mistake to try and force morality into a story. If it comes through naturally, all the better. Popped over from Dr. French’s post. This is a good article. I agree. Writing is a big responsibility. I have learned many of my moral lessons from books. Many of us didn’t learn things at home in our growing up and we are always being informed by the world at large. This will be in the back of my mind each time I write something now. Thank you. Insearchofitall, I too learned many moral lessons by reading books like “To Kill a Mockingbird.” K. D. 🙂 Thank you for liking my article. John Dryden wrote once. Don’t be a martyr. Write the truth and be careful. A dead writer can write no-more. We must stand for the right. Even when everyone believe you were wrong. I agree with your logic and your thoughts. I think morality is merely a set of rules which tells us when to empathize, where to empathize, and most importantly, for whom to empathize. it’s preferable to withdraw from such idealistic ideas, as it creates a case for authority. All authority is moral authority.